The best part of the holidays is the magic that surrounds the celebrations, the traditions and the memories that are made each year. We live in Windsor and border the state of Michigan. 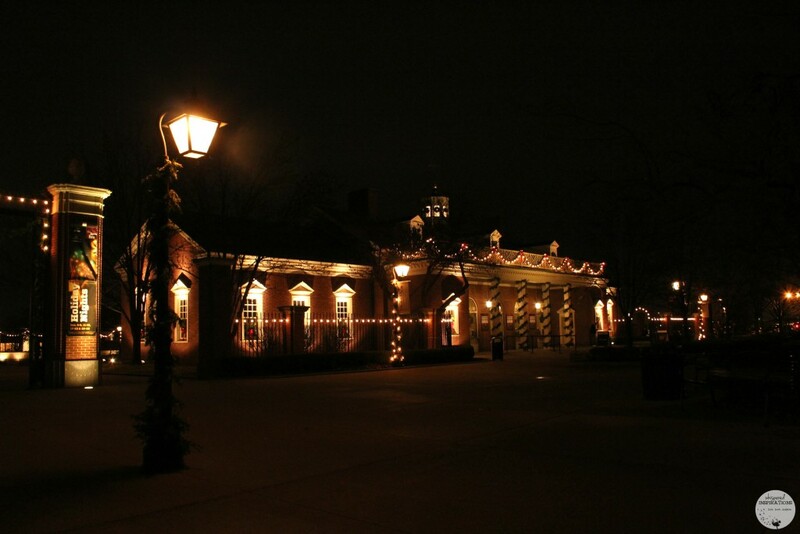 The mitten state has plenty to offer and during the holidays, there is nothing like spending a night in Greenfield Village. 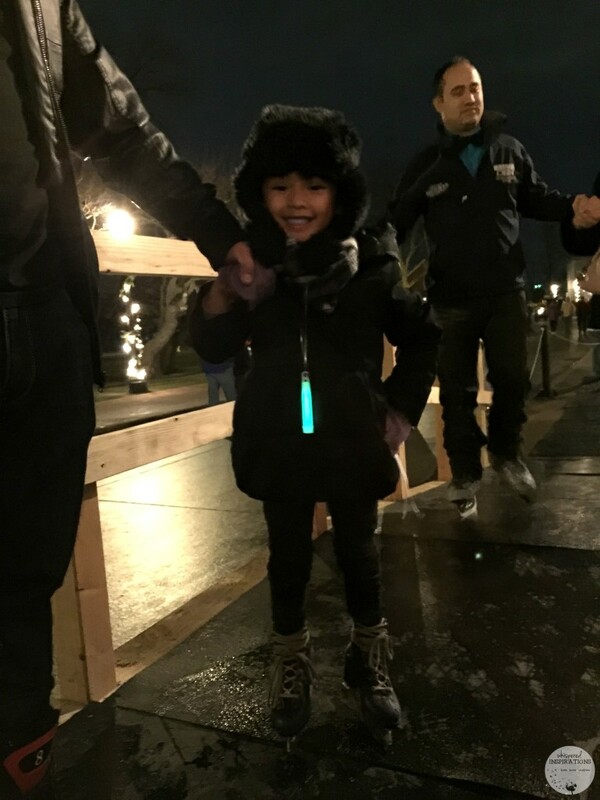 Holiday Nights in Greenfield Village is like stepping into a Christmas past — the glowing lanterns, the scent of roasting chestnuts, the sound of carolers, the jangle of sleigh bells and the laughter coming from the skating pond. This is how the holidays are supposed to be, right? We arrived on a Sunday and let me tell you, it was a full house. In fact, almost all the dates have been sold out and the excitement in the air was palpable. You can feel the Christmas spirit with every smile from strangers you pass and the sound of the electrified chatter was incredible. We were ready to see the village, coming from Canada, it isn’t much of a hike and we have nothing like it in Windsor. 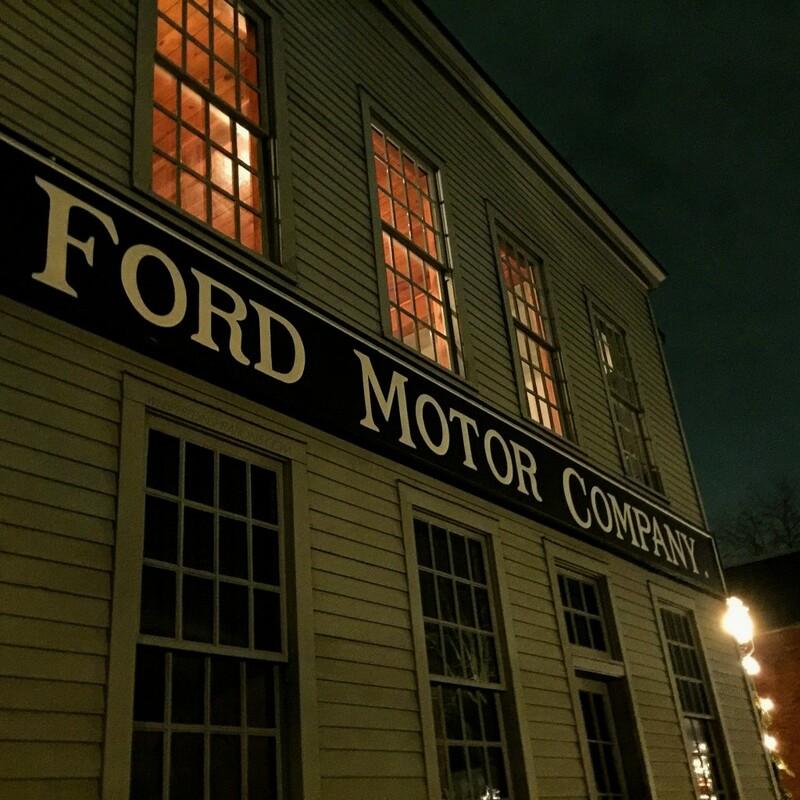 The rich history of the Henry Ford museum and Greenfield is something that is worth experiencing and we are glad that we did. A Once In a Life-Time Experience. Or maybe a yearly one! 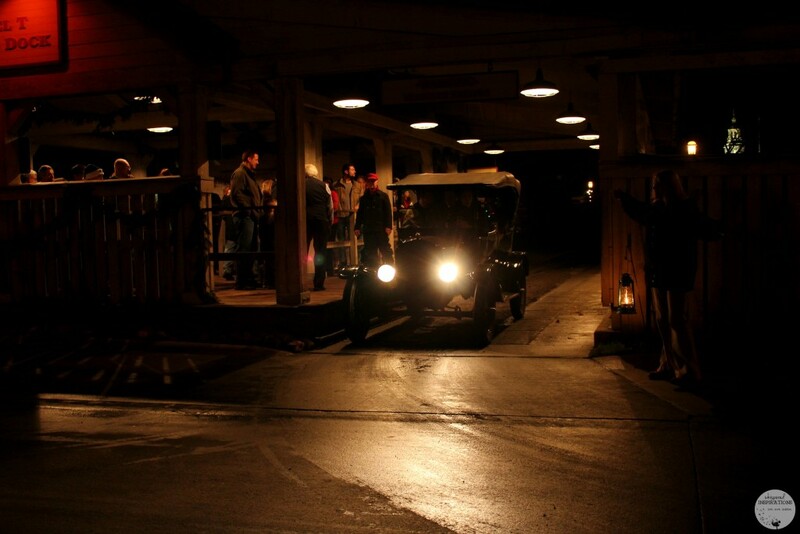 Have you ever wondered what it must have felt to ride in one of the first cars ever made? I know I have! Henry Ford was an innovator and to have the opportunity to ride inside a 1914 Model T is something I never thought I’d have a chance to do. 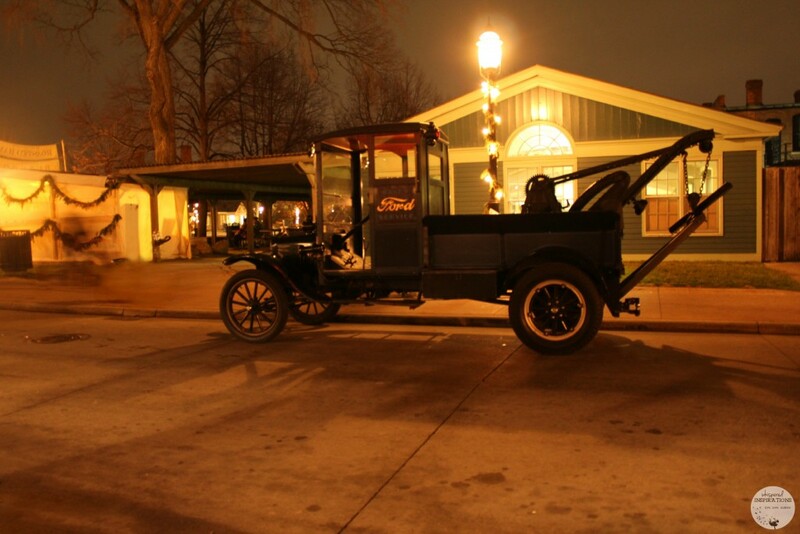 At Greenfield Village, you can make this into a reality and take a ride through the streets of the village–just as you would have in the past. I loved the feel of the ride, the suspension was comfortable and the sound of the engine is incredible. Even though it isn’t the same as a Ford Mustang GT, it has its own monumental sound. Simply because that is where the engines of today originated from. 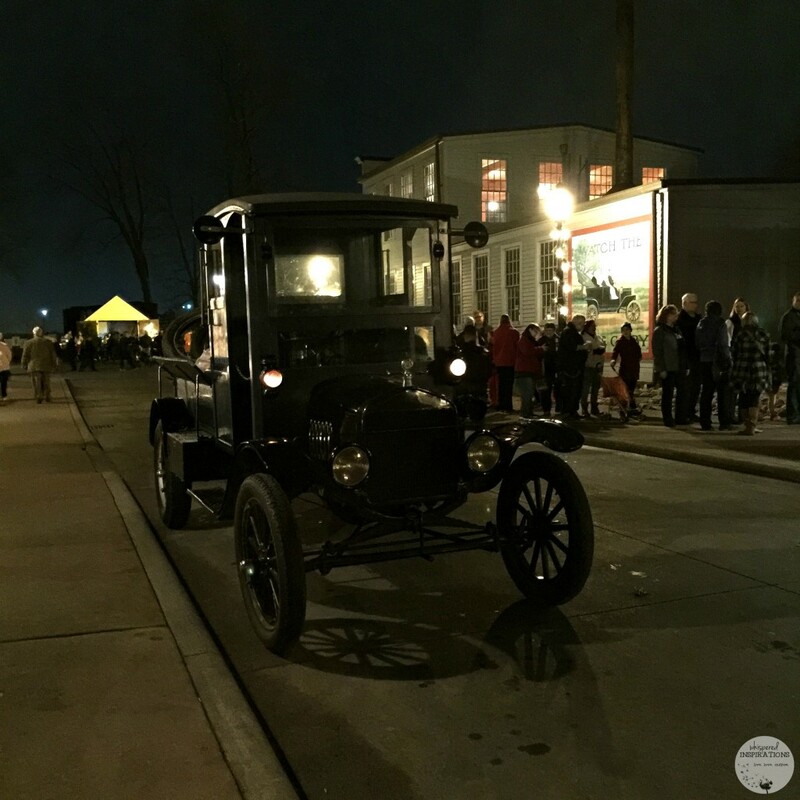 After you’ve taken a ride inside a Model T, you can head over and jump on a horse-drawn wagon and enjoy the crisp air and the smells of the village as you ride through the streets. Sing a Carol or Two. 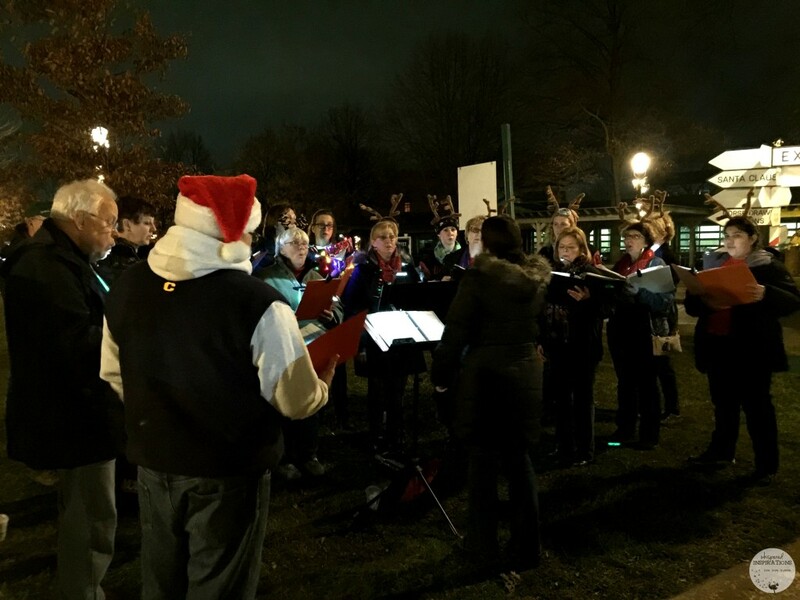 Wherever we walked, we would find carolers or musicians filling the night’s air with their beautiful tune and voices. We just had to stop and listen because the voices were so moving. We were on our way to the ice rink and we stopped to listen to Silent Night. A crowd gathered and we all stood in silence while their beautiful voices rang in the air. Grab a Pair of Loaner Skates! There’s no need to lug a pair of skates across the border, folks. 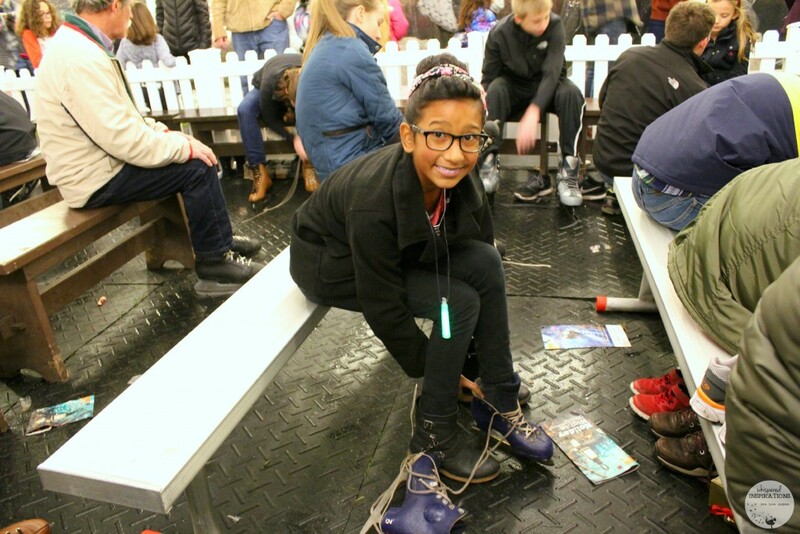 Greenfield Village has got your back and they have plenty of skates of all sizes for any “villager” to come by and spend some time on the ice. 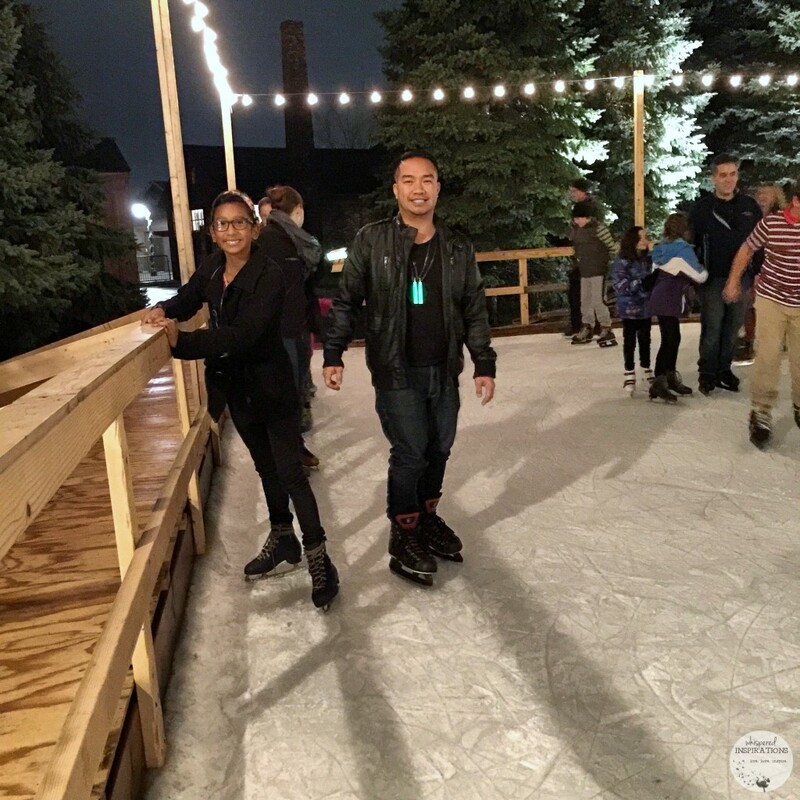 We hadn’t skated in years and we were a bit nervous to get on the ice! But, as soon as we got going, it was like riding a bike! You can see skaters of all skills, beginners, intermediates and the experts of course! One thing is for sure, you can hear the laughter, the cheers and the chatter of onlookers. 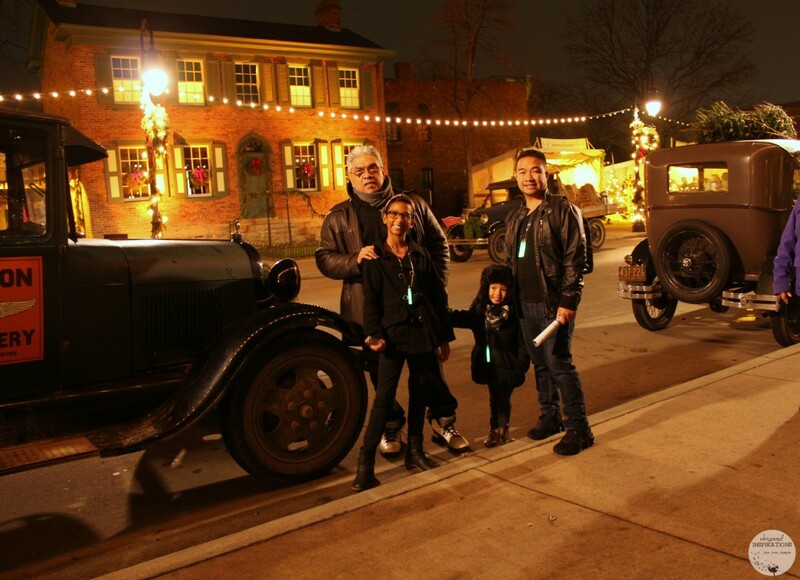 It was an amazing time and something that we look forward to doing every year at Greenfield Village. 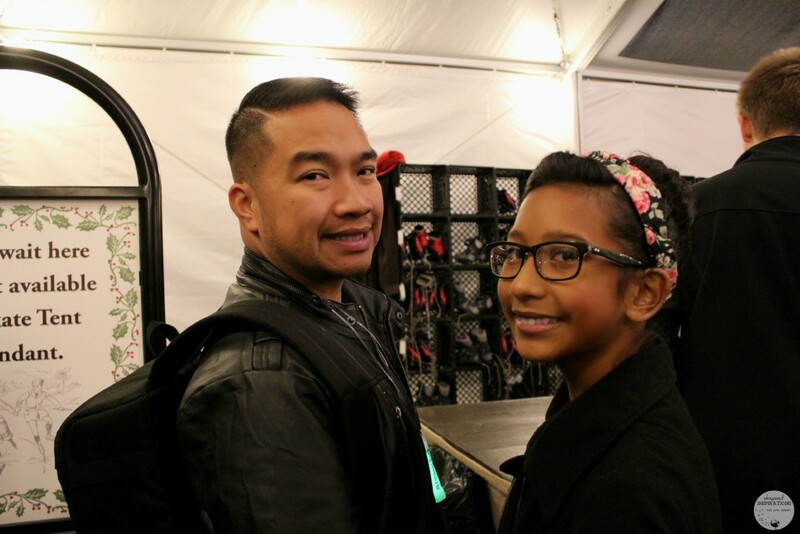 Off to Main Street, We Go! There is plenty to do on Main Street and if you’re hungry, you’ll find the fare to be unique and tasty. 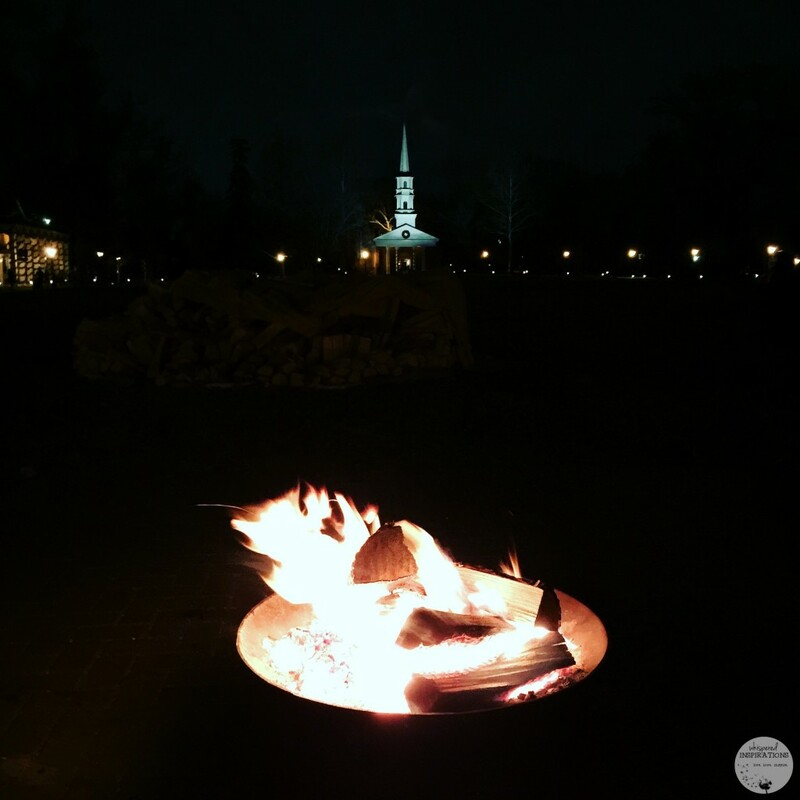 You’ll find chestnuts roasting over an open fire, hand-carved roast beef, Christmas cookies. 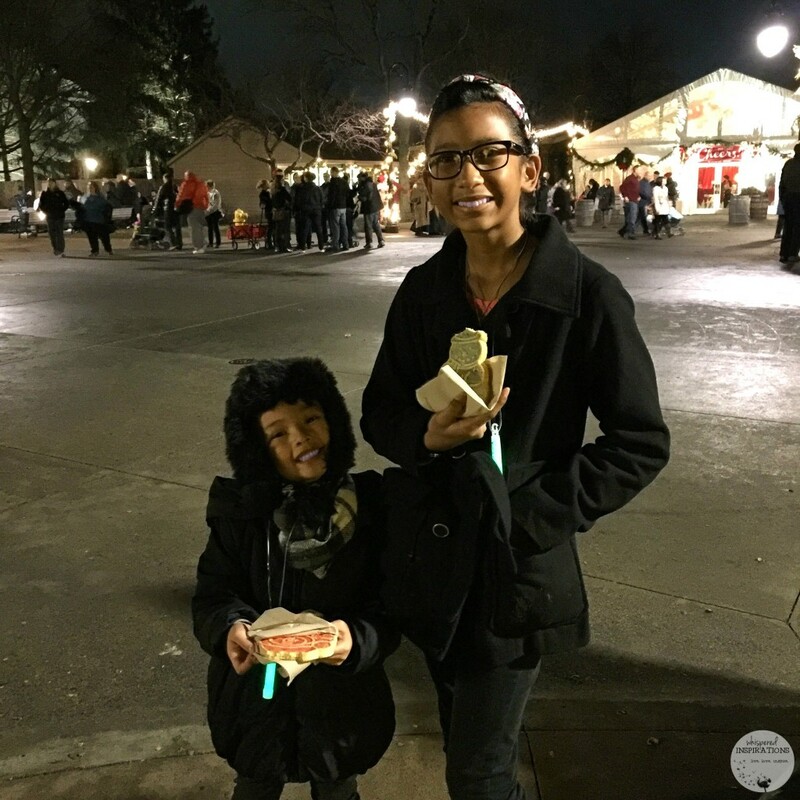 Hot cocoa or apple cider, regular or spiked! If you have a sweet tooth you can indulge in frozen custard! 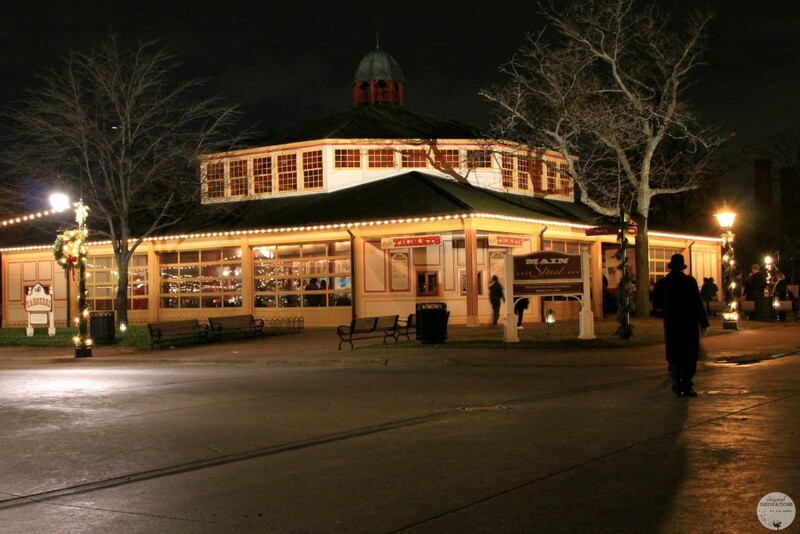 Other dining options at the Village Pavillion are hot dogs, popcorn, chips, pretzels, donuts, cookies and much more! Water, soda, coffee and hot cocoa were at the ready! 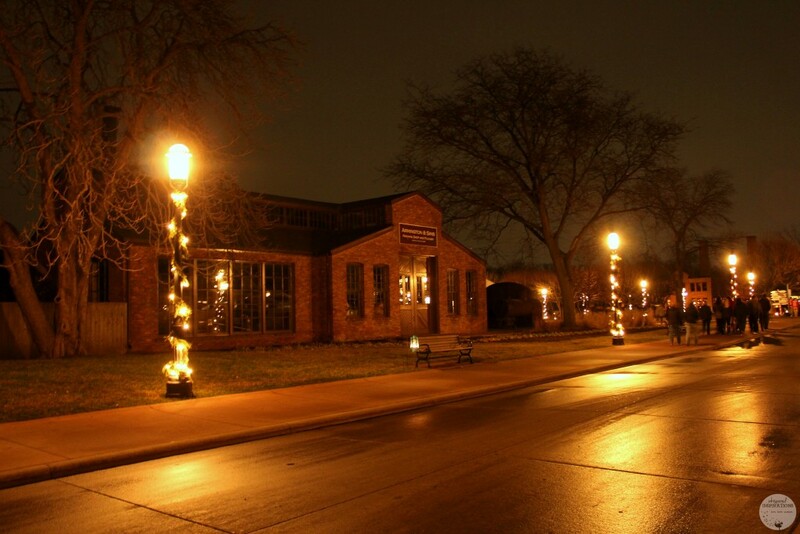 You’ll also hear a life band playing carols and the distant sound of a horn of model trains and a replica of Mid-Town Detroit made of LEGOS. It was incredible and the girls loved the LEGO. The detail is amazing! 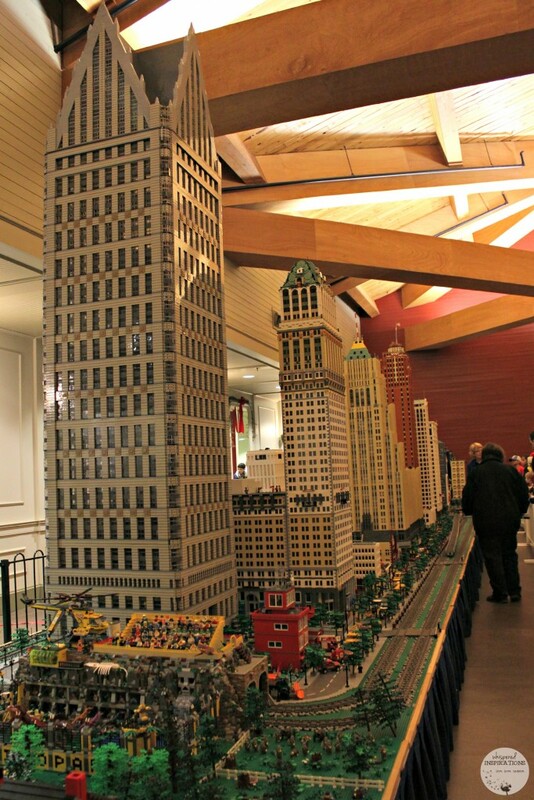 Any LEGO Master Builder will be in heaven! 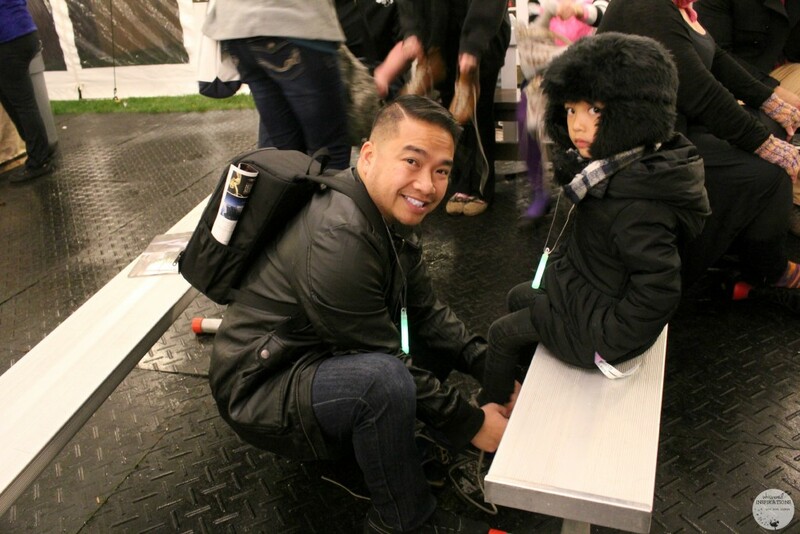 Take a Carousel Ride & Meet the Big Guy. One thing you have to do is visit Santa with his live reindeer. It’s perfect, right down to the spectacular fireworks display that provides a dazzling finale to each and every evening. 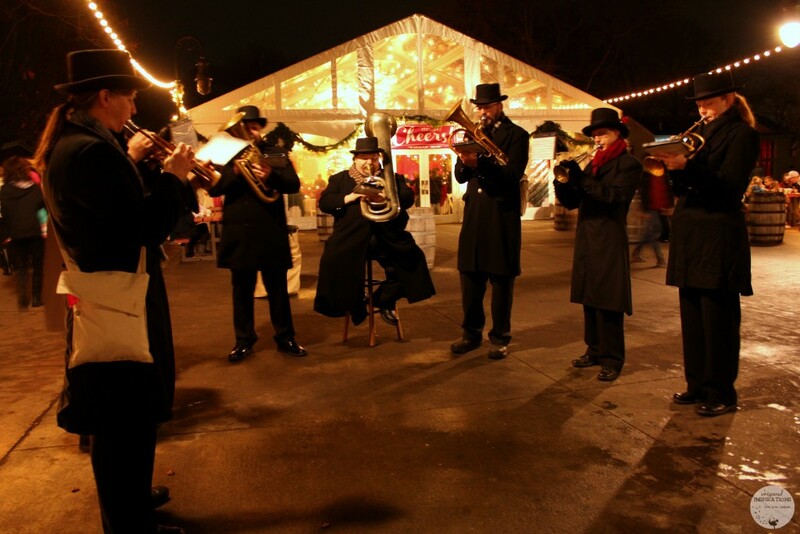 But, before you visit him, you can take in street performers, warm in the Christmas Cheer tent or drop in to the shops as you make your way to the Herschell-Spillman carousel. We stopped at the Lantern Shop where there were lanterns for sale and ornaments. Of course, we took one home and every time I light it, I will remember Holiday Nights. We also bought a snow flake ornament at the Ornament Shop that was hand-made. That is what Santa proclaimed before the night sky was lit up by fireworks! 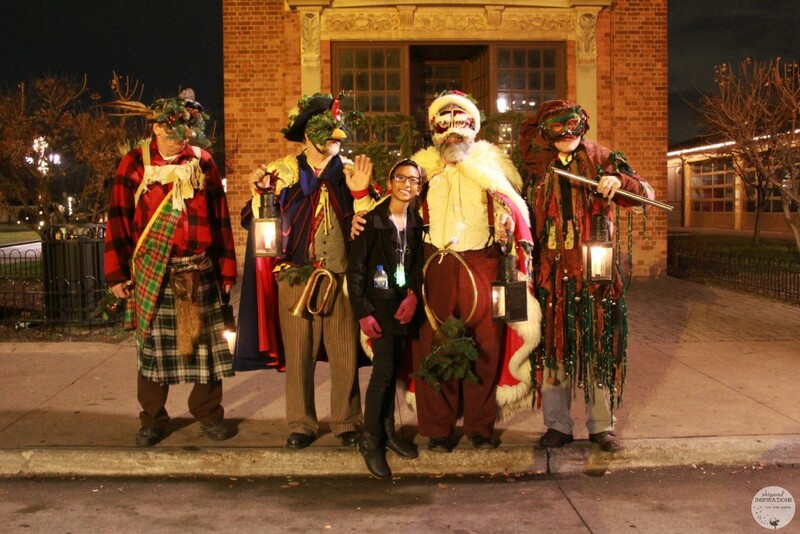 Before the display begun, the villagers came across the yard in their lantern procession and the hilarious Mummers lead the whole crowd in a sing-along. 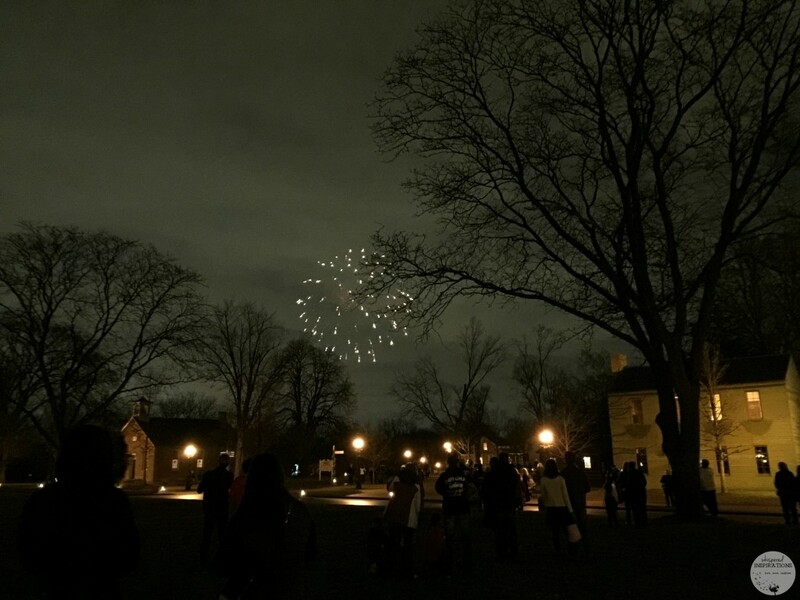 While the fireworks danced across the sky, everyone sang carols. The night sure ended with a bang! Not sure what Mummers are? Well, they are a group that take the street in outlandish costumes and they would perform for food, money and drink. It was a popular custom in the first half of the 19th century. These Mummers are witty and almost jester-like. They made me laugh so many times! We made our way out of the Village and on the way, we took some pictures on some vintage trucks. You’re in for fun, holiday cheer, good food and drink, great shows, laughs and unforgettable memories. It is a great way to spend a weekend with family. 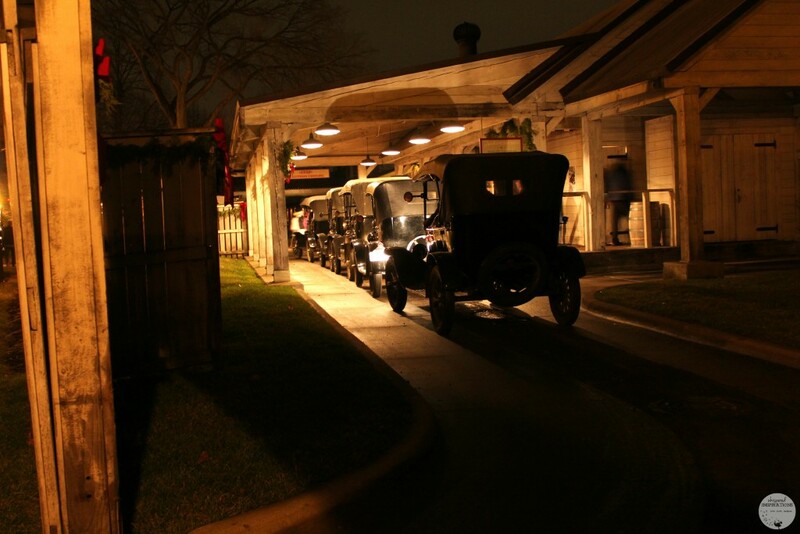 That is why you need to make Greenfield Village Holiday Nights a part of your holiday traditions. 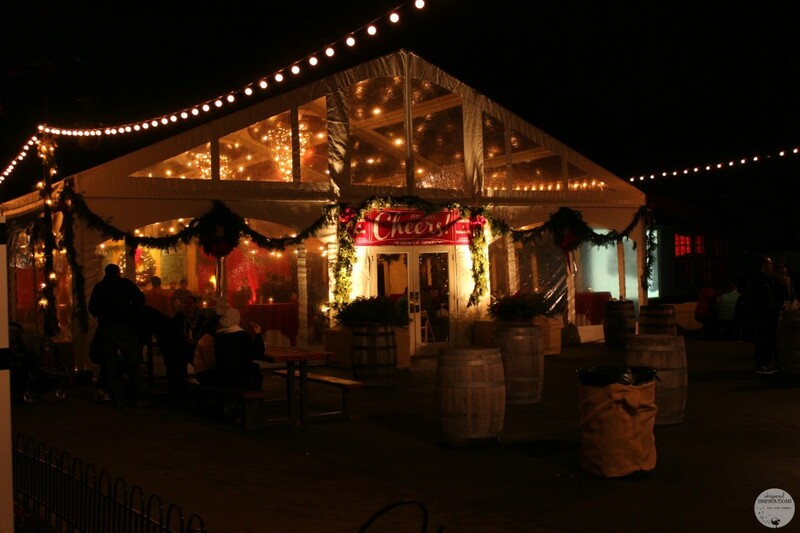 It’s the perfect way to getting into the Christmas Spirit and there is plenty of fun to be had! 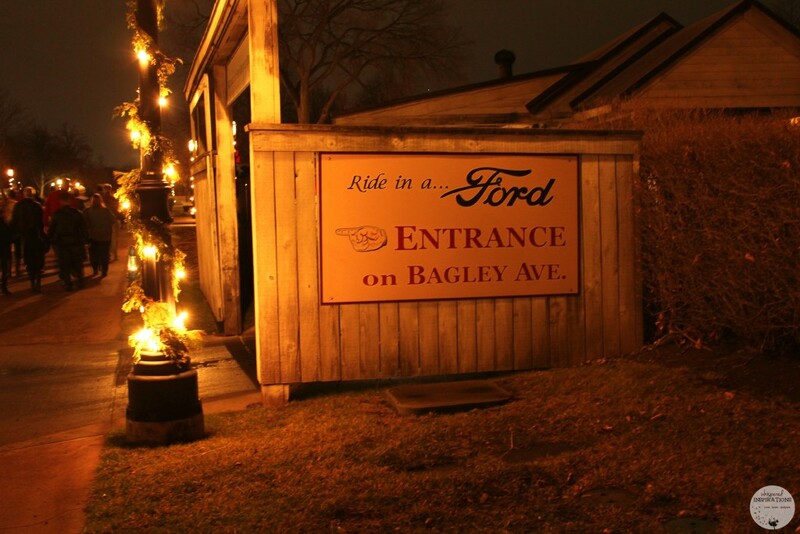 Plus, if you’re in Windsor, Essex, Sarnia and beyond–it’s well worth the trip! 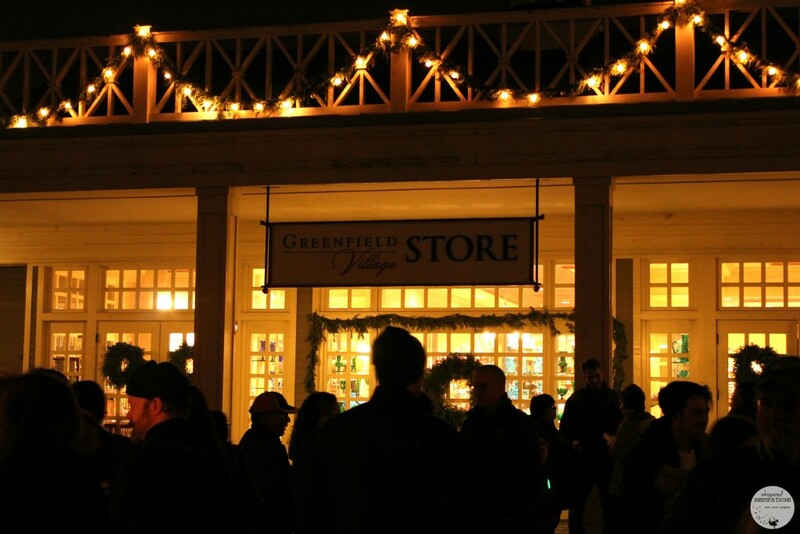 Holiday Nights in Greenfield Village for December 18, 19, 20, 21 and 23 is SOLD OUT! Tickets still available for Thursday, December 17 and Tuesday, December 22. You can download a coupon for a $2.00 for December 17th, only or use promo code HP1215! Buy your tickets, HERE. 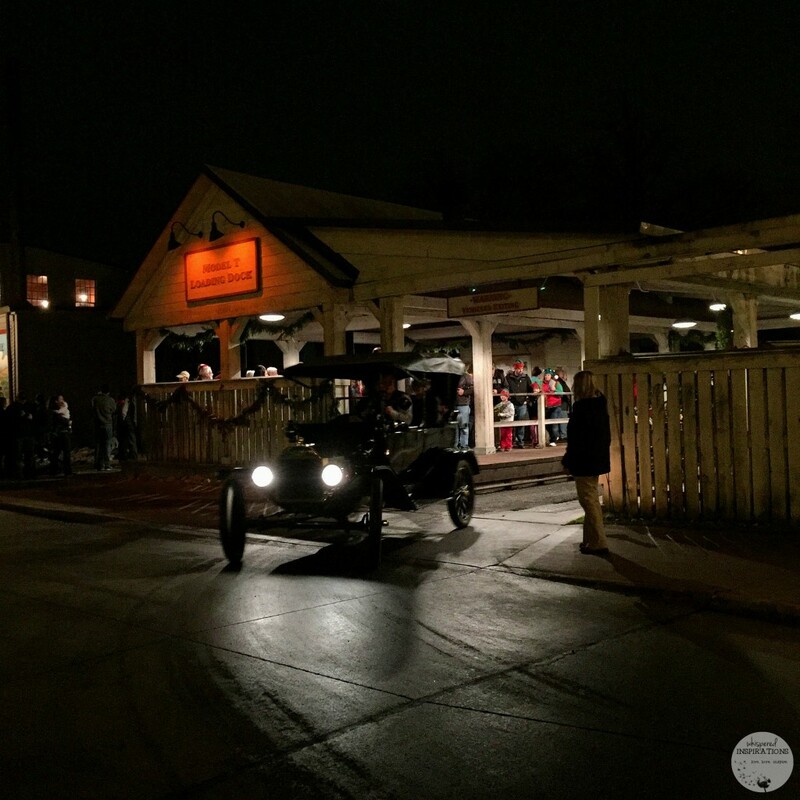 For more information head over to Greenfield Village Holiday nights page or connect with them online on Twitter and Instagram too. 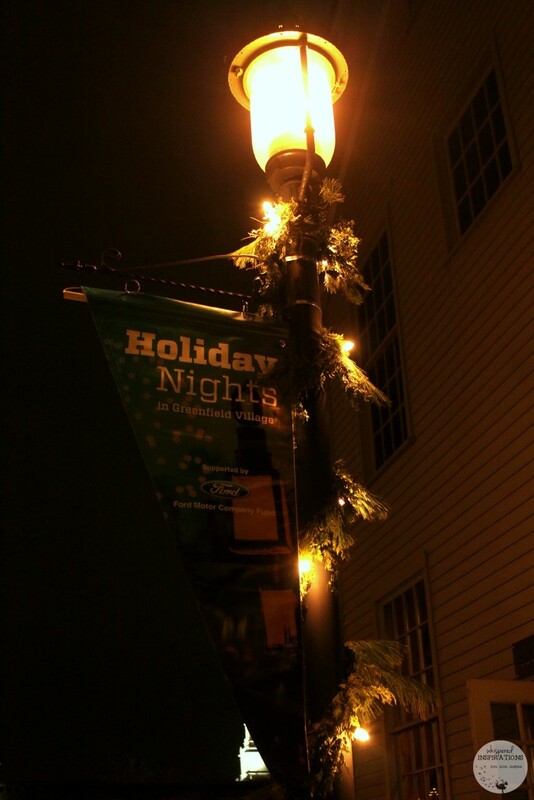 Don’t forget to share your experiences and special moments by using the hashtag #GVHoliday Nights! 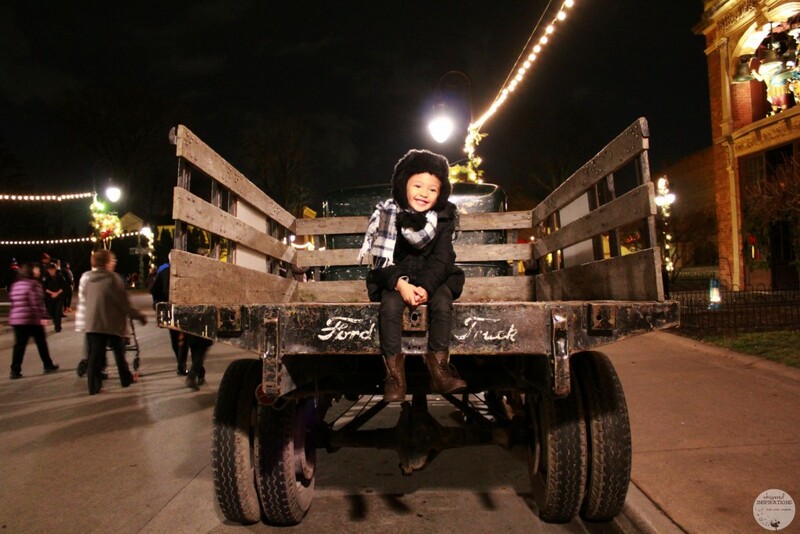 What are some ways you get into the spirit? Previous Post: « 7 Must-Have Stocking Stuffers from Be Delectable and Hard Candy Holiday Collections! Give the Gift of Fabulous! Your pictures are amazing – and so festive! Looks like a most merry time! What a fun night out on the town! I love how towns decorate and get set up for the holidays! 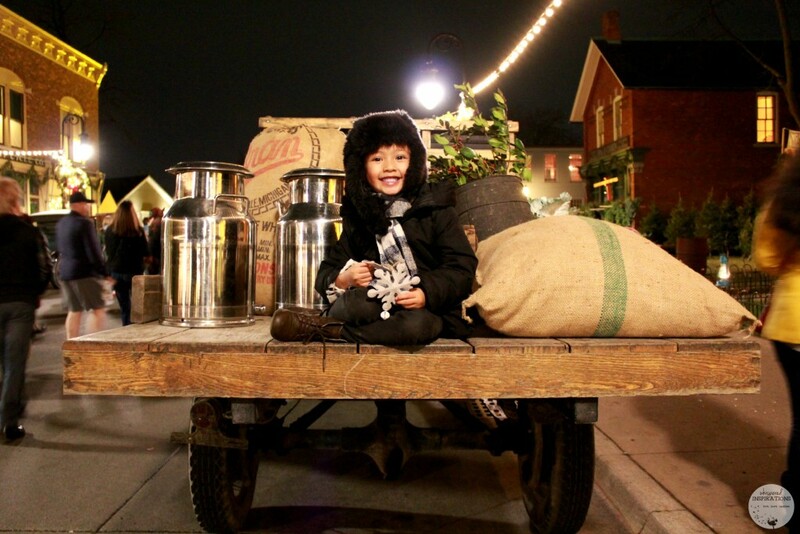 Yes, Greenfield Village is a special place! Yeah, it is a lot of fun! That looks like a lot of fun! We are not close enough to do that, but it would be a great family time for everyone. What a fun way to celebrate! 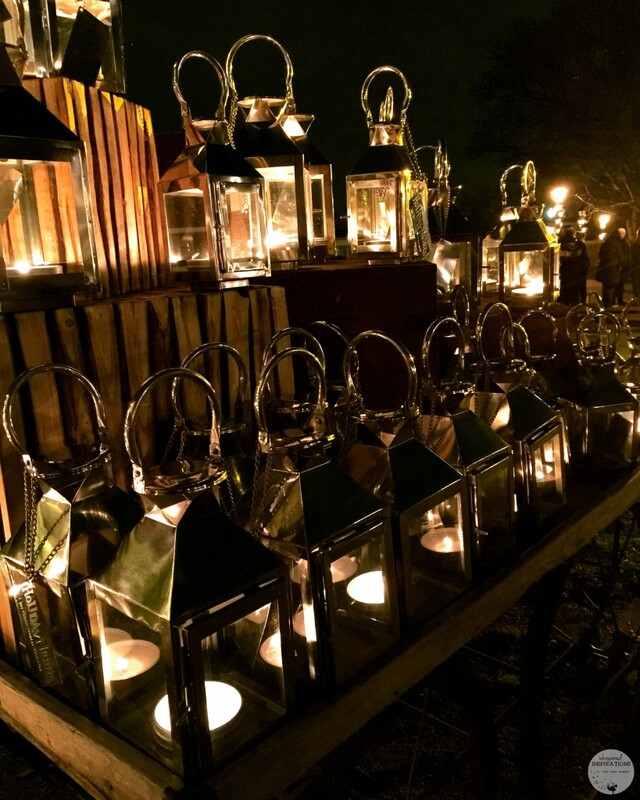 Those lights look so beautiful – very magical! There is so much festive fun there at this time of year. I've been there but never during December. I need to change that. My recent post Knock Out Holiday Stress with Everlast Boxing Gear! Yes, you totally need to visit! This looks like so much fun. There's something similar in Ft. Myers, FL where the homes of Thomas Edison and Henry Ford are. They do cute Christmas festivities every year. Woah, that is really cool! Looks like a good time. I wish I lived closer. That looks like such a sweet way to celebrate the holidays. If I were closer, i'd make sure it was an annual tradition. Maybe someday! Everything looks so pretty! 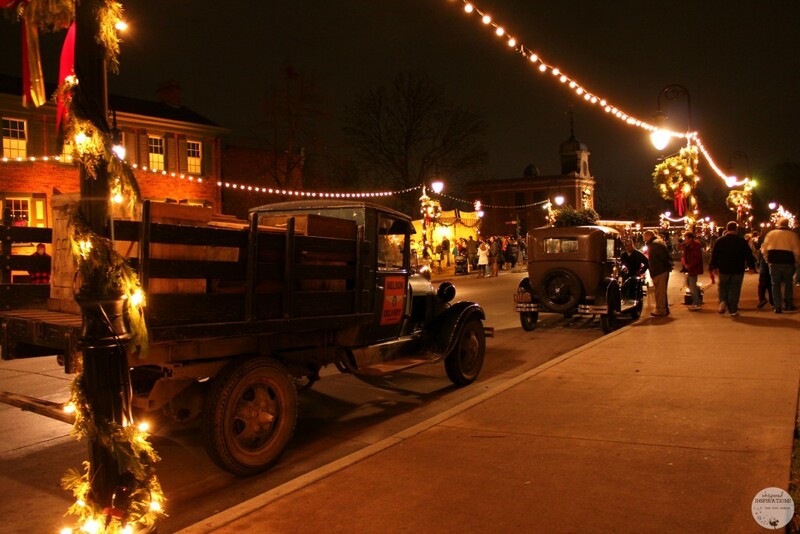 I love all the lights and the old cars. What a fun event. 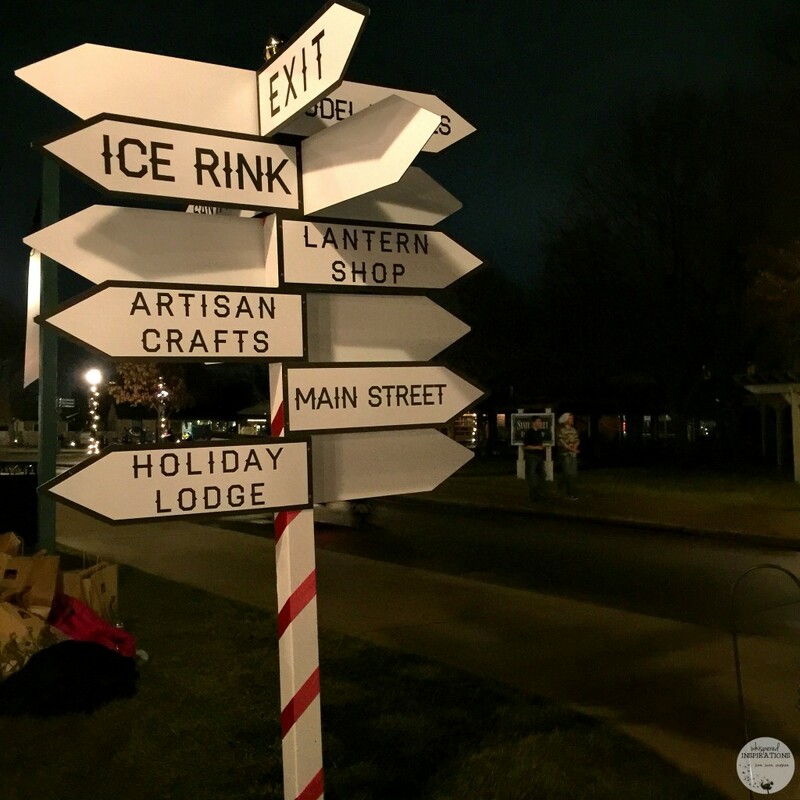 Loving the look and feel of holiday time in Greenfield. So much to see and do there! Lots to do! Really gets you in the spirit!